Live a Million Dollar Lifestyle for less than $180,000. Donât miss this golden opportunity. 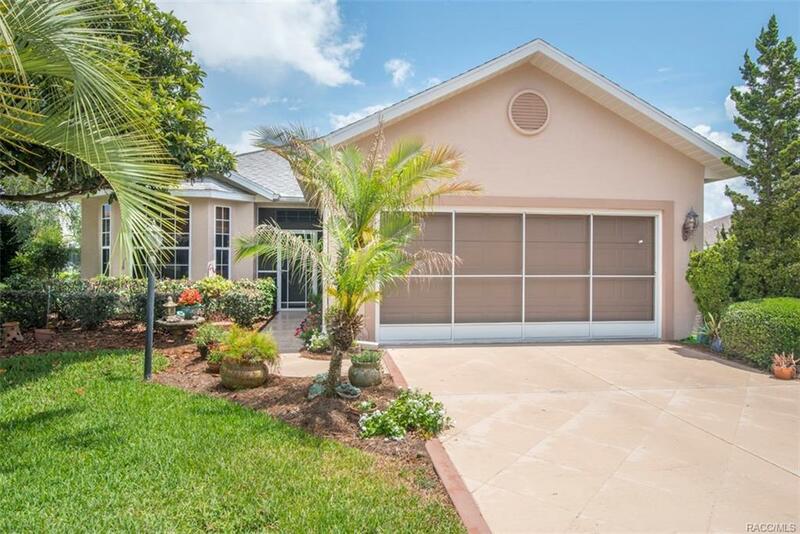 This 2 Bedroom, Den, 2 Bath, 2 Car Garage is TRULY âMove-In readyâ. As you drive in you see the custom treated driveway & beautiful flowers bordering the walkway. Inside, you know this home is meticulously maintained w/lots & lots of extras like Granite Counter-tops in Kitchen & Baths, Ceramic Tile throughout, Maytag upgraded Stainless Appliances, Upgraded Carrier A/C System (2016) & Pest Control inside walls tubes done during original construction, beautiful view & private landscape back yard setting. All w/the required âWorld Class, Citrus Hills Social Membership. Directions: From Rte. 486, Enter Brentwood Village Of Citrus Hills, Turn Right On Blythe Terr., Left On Chelsea Ann Way, Home At The End Of The Cul-De-Sac On The Right, #1957.